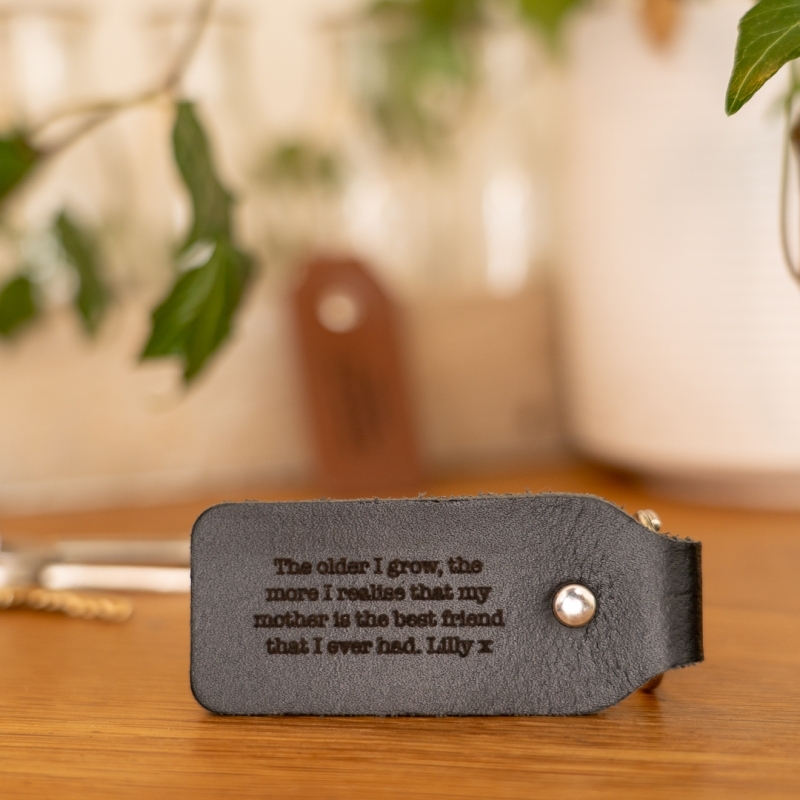 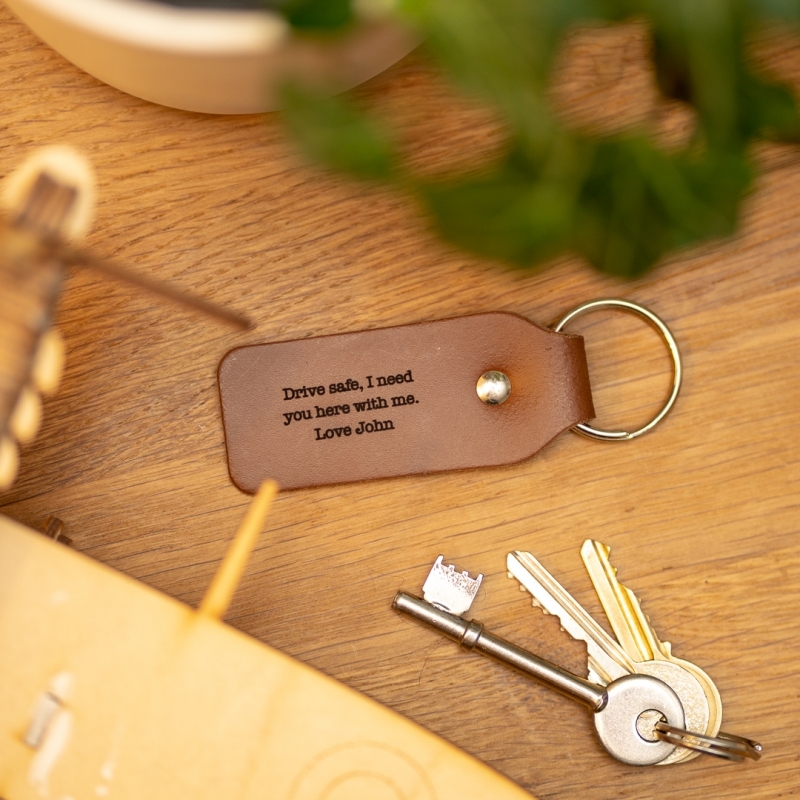 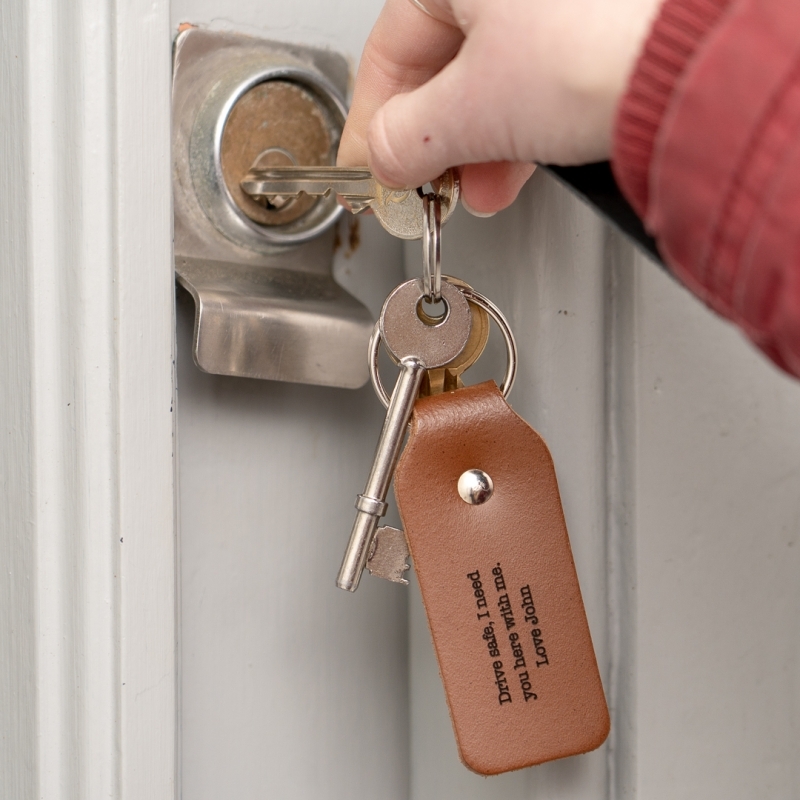 Keep a message from loved ones close to you throughout the day with this quality leather keyring embossed with a type-written message of your choice. 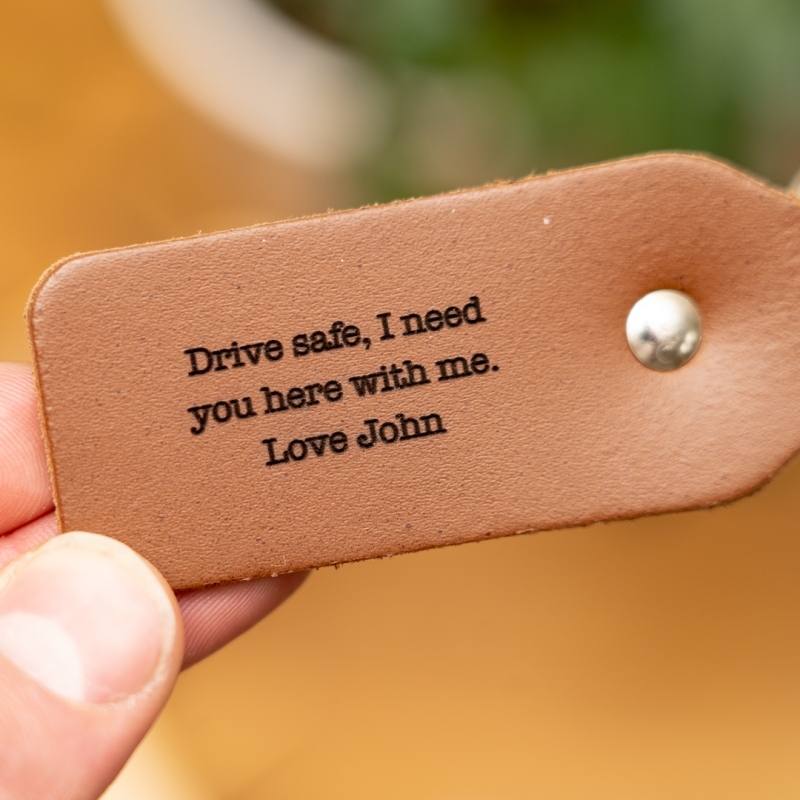 What better way to tell someone they are special?! 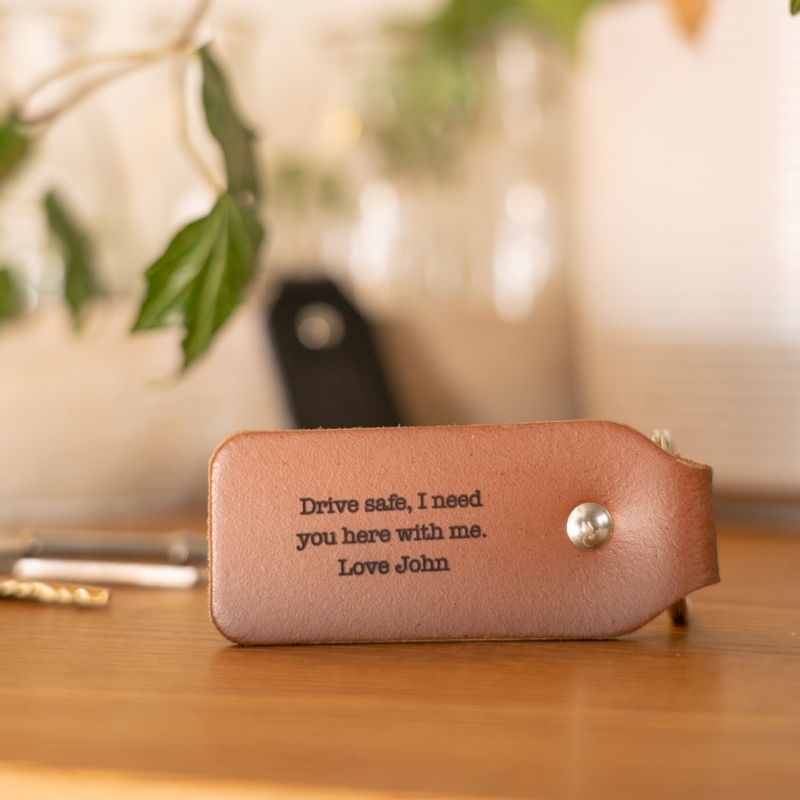 A very thoughtful gift perfect for Moving Home, Anniversary's, Birthdays, Valentines, Christmas or just to show someone you are thinking of them. 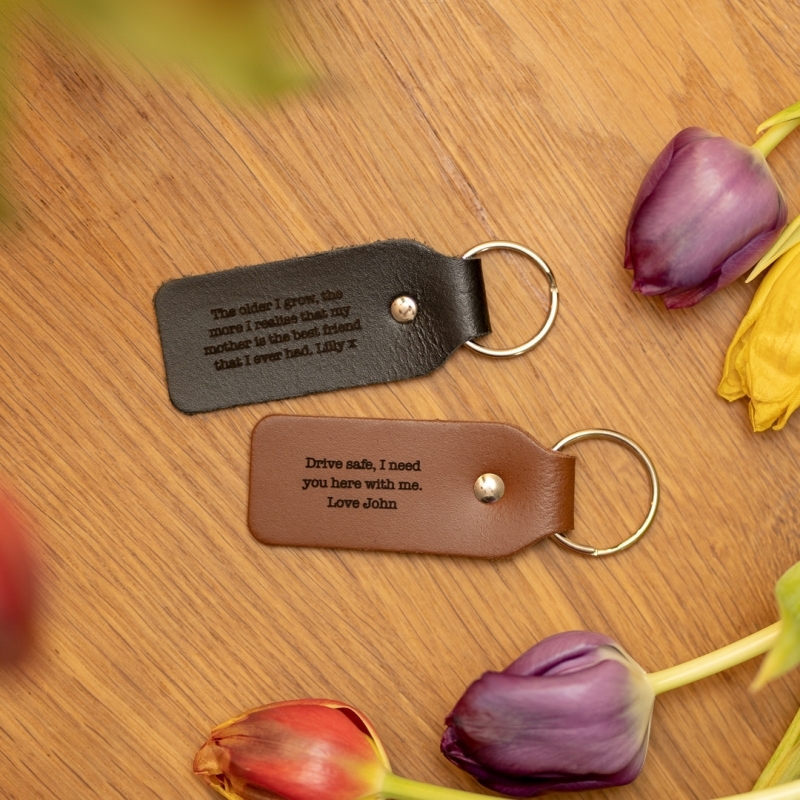 Your leather key ring will arrive looking beautiful, wrapped in one of our hand printed gift bags. 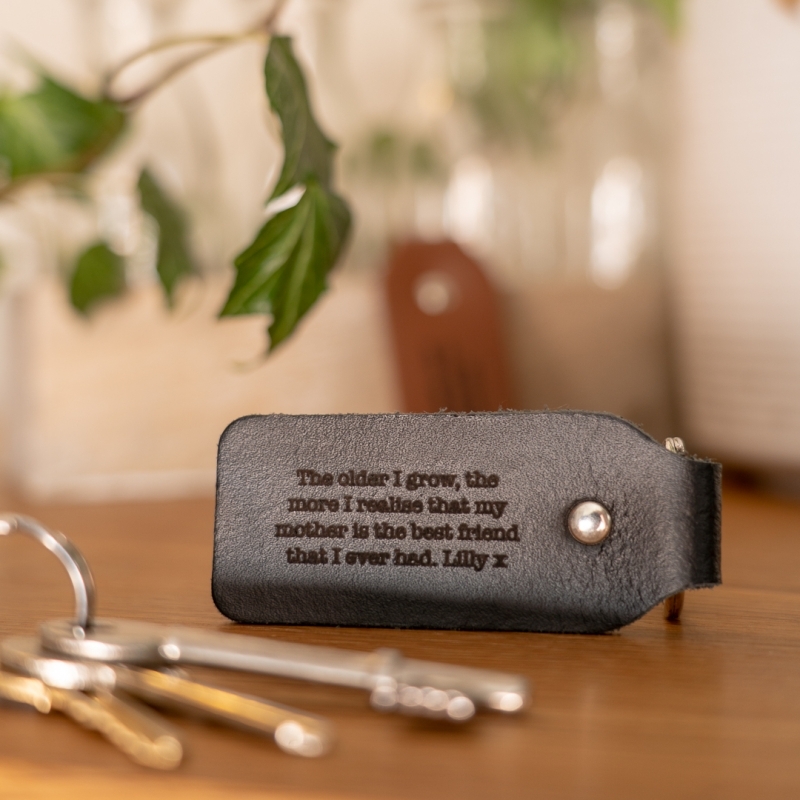 All of these are made to order in house within a few working days, so if you have any special requests, Please do not hesitate to contact us through the customer enquiry button. 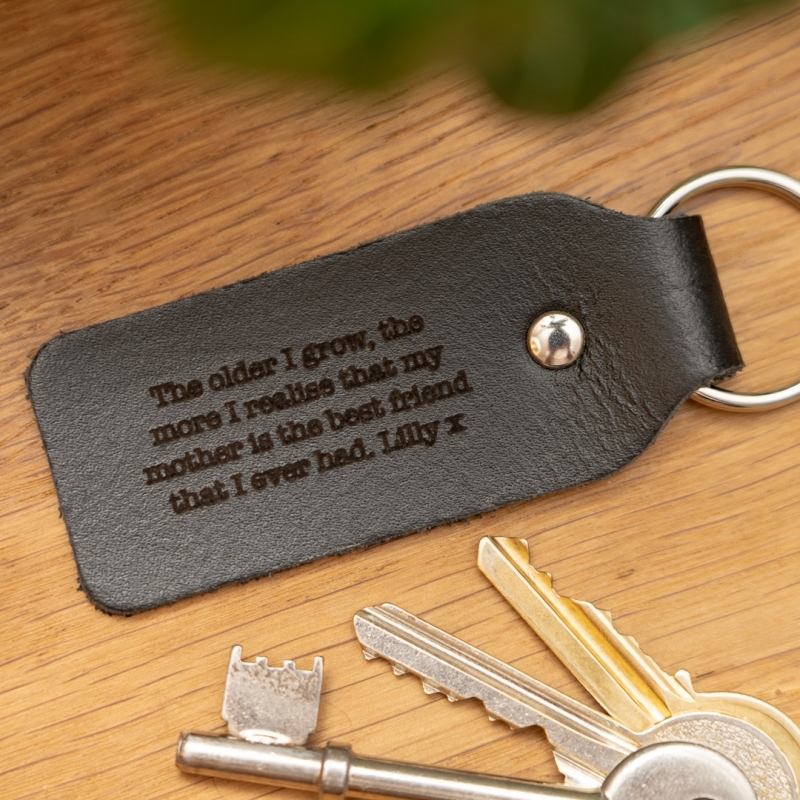 Manufactured and engraved in the UK. 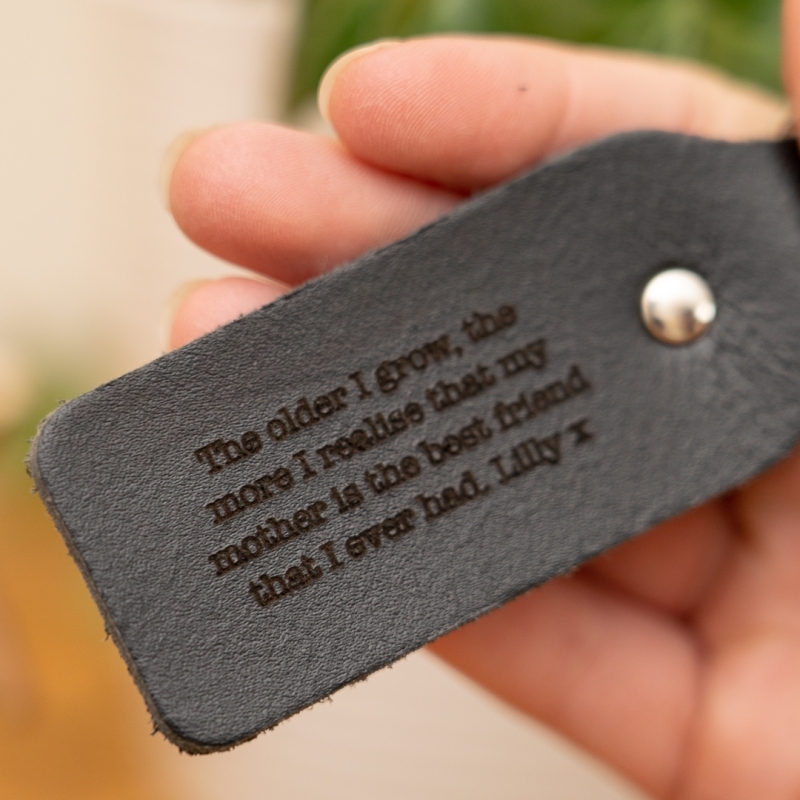 Available in a dark brown or black colour way.